Sitting on my desk as I write are 25 brand new, hot-off-the-press CDs awaiting my urgent consideration; the penalty, I suppose, one pays for daring to spend a few days away from home. 15 of these have already been commissioned for review by some magazine or other, while the rest are unsolicited CDs sent by artists or labels in the hope that I might feel inclined to review them. Even when the pressure of listening time is as limited as it is now (those 15 are due in the next couple of days), I still listen to all of the unsolicited ones and, on this occasion, this has proven to be a hugely enjoyable chore. 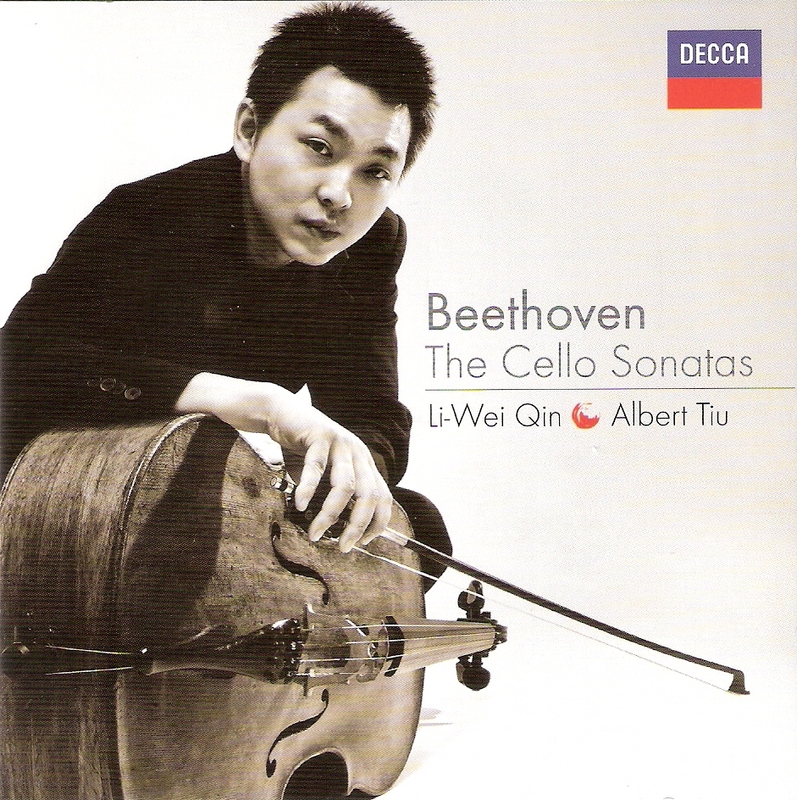 I've greatly relished Albert Tiu's disc of Scriabin and Chopin, which is quite something, considering my acknowledged dislike of the latter's music, on Centaur (CRC3093), while I can barely bring myself to take out of the player the Vasari Singers' stunning disc of great British cathedral anthems with their unbelievably compelling account of one of the greatest of all British cathedral anthems, E W Naylor's Vox Dicentis: Clama (Naxos 8.572504). 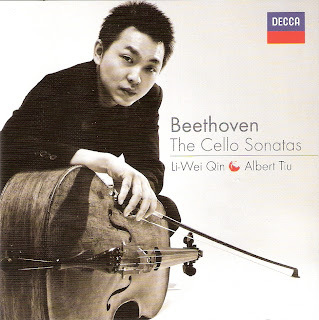 Then there's the mightily distinguished playing of Li-Wei Qin in his Decca set of the Beethoven Cello Sonatas (889 9119) which is countered by the rather flawed sound of the Hot Springs Festival Symphony Orchestra under Richard Rosenberg on a disc of American Concertos from the Jazz Age. The playing's not up to much and I can't get on with the half-hearted honky-tonk piano, but I'm intrigued by the music and am going to enjoy many more hearings of the Suite for Banjo and Orchestra by Harry Reser (Naxos 8.559647). Waking up this morning to the sad news that my esteemed Gramophone colleague, John Steane, has died, I regret that I shall never now know his opinion of Finnish soprano Camilla Nylund's disc of Wagner and Strauss arias with the Tampere Philharmonic and Hannu Lintu (Ondine ODE 1168-2), but I adore it. 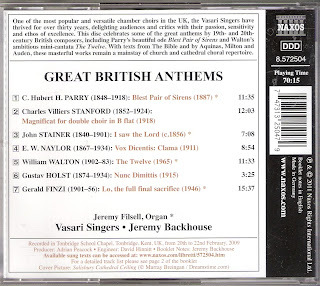 For me, though, the most attractive of these unsolicited discs takes me right back to my childhood and has had me reminiscing at length to anyone who will listen about Michael Hurd, whom I had the great good fortune to know quite well. 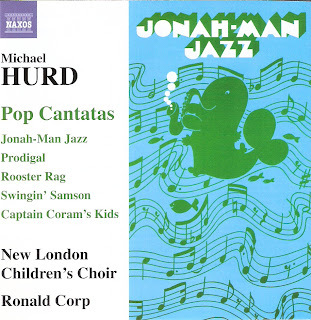 When the monthly package came from Naxos, sitting on top was a disc devoted to Hurd's Pop Cantatas (8.572505) with a cover image reproducing the front cover of the score of Jonah-Man Jazz. We sang that at school on more than one occasion, and I loved it. It's probably well over 40 years since I last heard it, although as with all catchy tunes I've never gone long without one of its melodies springing unbidden to mind, but to hear the gloriously vibrant voices of Ronald Corp's superb New London Children's Choir romp their way through such matchless numbers as "Jonah, Jonah, listen to me" and "I need a boat, man", took me right back to my school days (I could almost smell again my nasty ink-stained woollen blazer which always seemed to be damp, feel the wind rattling around my knees exposed between those horrible grey shorts and those shin-strangling socks, and relive those rebellious feelings towards that loathed cap burnt, along with everyone else's, on the last day in the fifth form). Although he wrote it for another school in 1966, Hurd lived close by ours and often would come along and attend our rehearsals. I was enchanted by a man who could not only make us all feel a million dollars with music so well written for amateurs that it never failed to sound good, but also knew so much about music, communicated his enthusiasm for it so well, and had all the time in the world for nerdy schoolboys anxious to pick his brains on their pet subject. When I bumped into him in a Hampshire country pub some years later he was just the same and, much to my immense pride, even remembered me. In subsequent years we even worked professionally side by side in preparing scripts. His death in 2006 upset me mostly because it seemed to pass almost unnoticed by the musical community. Now, at last, his music is being celebrated on disc. 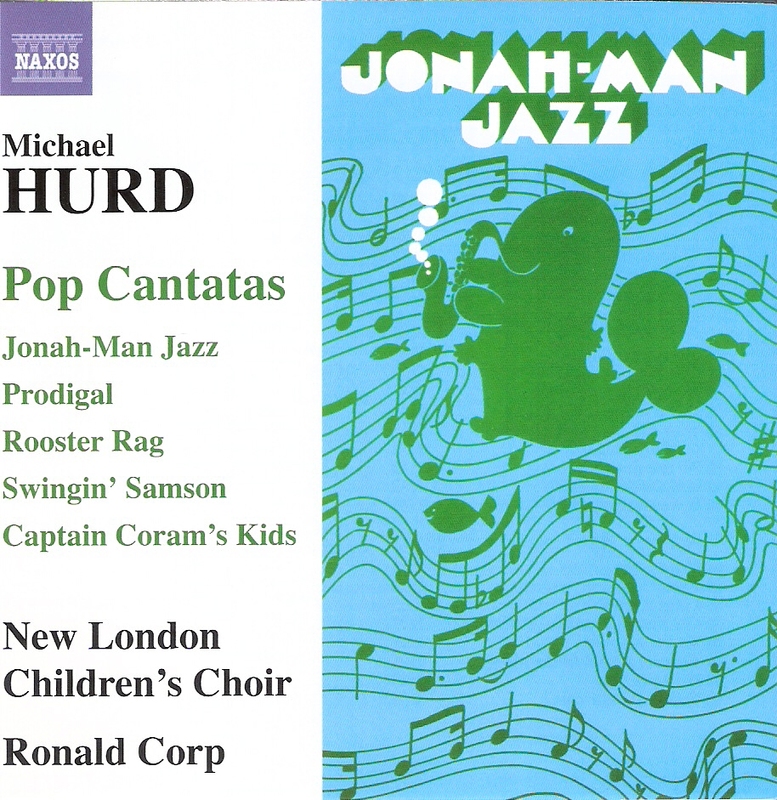 What Hurd was able to achieve through the medium of the pop cantata was twofold; to create music which was easy to perform but highly effective to listen to, and to retell stories in such a way that they became indelibly implanted in one's memory. Take the seemingly mundane text of his Captain Coram's Kids. I knew of the Foundling Hospital – Handel's involvement effectively immortalised it – but Hurd's piece, while simply setting to music a potted history of the place, somehow implants it so firmly into the memory through the tunes which accompany each episode. I hadn't heard previously the hugely amusing Rooster Rag – effectively a moral tale for chickens and foxes – or the retelling of the story of the Prodigal Son – Prodigal –but both deserve frequent airings. As I travel around and hear misguided school choirs attempt to emulate the morally degenerate and musically inept role-models foist on them by TV talent shows, I despair that the use of collective singing as a source of wholesome fun through good-quality and original music is being denied today's children. 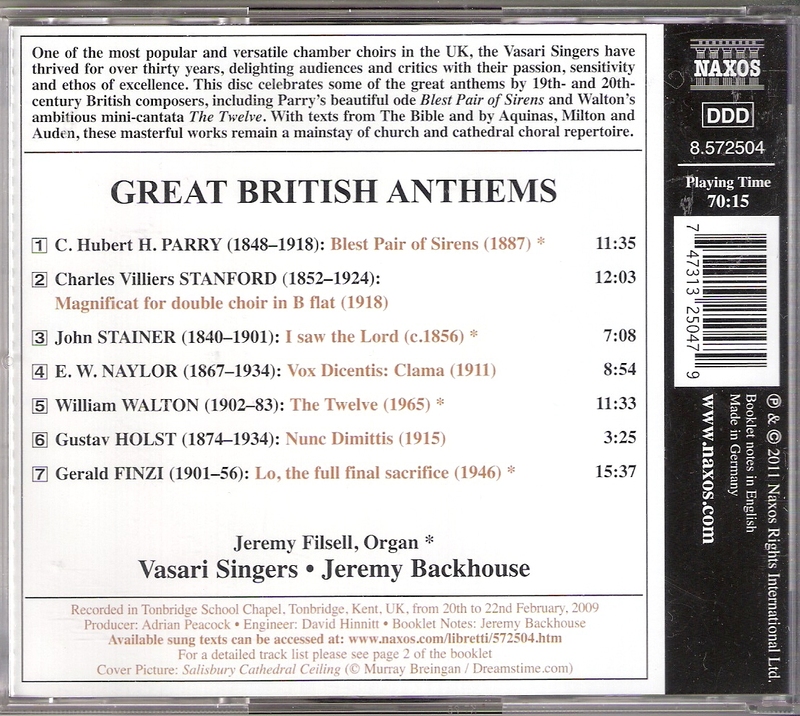 If this Naxos disc brings the work of a great musical educator and communicator to the attention of choir directors and music teachers, it will have done more good to the musical development of society than a thousand highly-polished recordings of core repertoire.